Dr. Gordon Davis grew up in small-town Ohio and started working for a local veterinarian when he was just 9 years old. He attended Ohio State Veterinary School and then moved to Virginia in 1970 to start a practice in McLean and raise a family. Dr. Davis started a two-man, one-employee practice that has progressed to one of the largest privately held practices in the Washington Metropolitan area. While practicing, Dr. Davis focused on small animal surgery and orthopedics and he has thoroughly enjoyed the challenges of his career. Dr. Davis’s wife is a dog and cat lover! Their son’s family includes R.J., Heidi, Spencer and Jack. Their daughter’s family includes Bob, Lizanne, Kendall and Brady. In his free time, Dr. Davis enjoys riding horses, racing horses and woodworking. Ohioans are warm, unassuming people who, despite their independence and self-reliance, will always lend a hand to a friend or even a perfect stranger. Dr. Felton considers himself lucky to work in a profession that ties in so many of the activities he loves, provides mental challenges and learning experiences to grow and rewards him with personal fulfillment. His parents recognized early on his love and aptitude for science and it was their dream for him to become a medical doctor. His father’s job as a middle school principal and his mother’s as a hospital administrator afforded Dr. Felton the learning resources and job experiences to observe doctors and the inner workings of hospitals first hand. It wasn’t until his junior year in college that two events changed his path. First, his mother lost her battle with leukemia, and second, he met a pre-vet student who gave him direct access to observing what his future profession was all about. Unlike human medicine where all doctors are highly specialized, most veterinarians wear “multiple hats”, which allows animal doctors to follow their patients from infancy to death. They are forced to learn and become proficient in all aspects of medicine and surgery. Dr. Felton’s mother’s illness showcased one shortcoming to specialization: the fact that a serious illness like cancer requires multiple highly specialized doctors. There were more opportunities for lapses in communication and fewer opportunities for compassion and connection to their patients. Ultimately, his decision to become a veterinarian balanced his passion for science and learning with his family’s core beliefs in compassion and empathy for all living things. Dr. Felton received a BS degree from Ashland University in 1973 and then spent a year of independent research at the Ohio Agricultural Research and Development Center. In 1978, he received his DVM from Ohio State University. He has interests in internal medicine, soft tissue surgery, ultrasonography, laparoscopic diagnostics, acupuncture (CUA), and he is a USDA accredited veterinarian. Dr. Felton married his college sweetheart, Debbie, with whom he will celebrate 40 years of marriage in 2013. They are blessed to have 2 beautiful daughters, Kelly and Lindsey, who still have their father wrapped around their fingers. 2013 is also a milestone year as Craig and Debbie officially became grandparents for the first time. Dr. Felton is looking forward to spoiling his granddaughter and grandson and the opportunity to talk jibberish and act like a kid again. The Feltons have one male miniature poodle, Eli, who keeps them on their toes with his zest for living and regularly outwits everyone at every opportunity. Now that he is in his sixties, Dr. Felton’s interests are a little more leisurely than athletic. His two previous passions, tennis and running, have given way to low impact activities like kayaking and biking. White water kayaking is now morphing into less excitement and more the pursuit of the zen stroke and reading the river perfectly. He still enjoys home improvement projects, especially those involving woodworking, and now that he has grandchildren, has rediscovered his love of photography. Finally, gardening has and will always be a form of meditation and a creative outlet for him. Dr. Andrea Newman was born in Frederick, Maryland, and raised in Bethesda. She went to Duke University for undergraduate studies and achieve a Master’s degree at Hood College before attending the Virginia-Maryland Regional College of Veterinary Medicine. She came to veterinary medicine late. After graduating from college, she was volunteering at a large cat (lions, tigers, leopards, servals and caracals) breeding and research facility in North Carolina and realized that she could combine the joy of working with animals and the people who love them with her interests in science and medicine. The joy and challenge of veterinary medicine is that it’s like being the only doctor in a remote town. We work on patients from infancy through geriatrics and do medicine, and surgery, and dentistry too! Dr. Newman’s favorite part of her job is the diagnostic challenges. Dr. Newman’s husband, Wayne Tympanick, is a music teacher at Kent Gardens Elementary School. He also plays drums on the side (jazz is his love). They have 2 cats: Monk and Miles; a yellow naped parrot, Yna, who loves to sing along to music; and a tank full of fish that they choose to believe are happy. In her spare time, Dr. Newman enjoys gardening, bicycling, hiking (any excuse to be outdoors on a nice day!). She also enjoys cooking and reading. Dr. McDaniel was born and raised in the Midwest: Michigan, Wisconsin and Minnesota. Her mother remarried when Catherine was in high school and they moved to Maryland. Dr. McDaniel has always had a passion for animals. When she was very young, she collected stray kittens and puppies, brought them home and tried to convince her parents to keep them. As a teenager, she fell in love with horses and she wanted to ride and work with horses. She saved her babysitting money to buy her first horse and worked at a farm to pay for her board and lessons. Dr. McDaniel went to undergraduate school at Averett University and majored in equestrian studies and biology. Her path to vet school was detoured when she got married. When the McDaniels owned a small farm with several horses in Danville, Virginia, she became friends with their equine veterinarian who encouraged her to go to vet school. She worked as his assistant part-time and he wrote an excellent recommendation letter to Virginia Tech. Her first job was at a mixed animal practice working with all species of animals. After she had children, Dr. McDaniel realized being on-call all hours of the night for large animals didn’t work for her. The family moved to Northern Virginia where she began working at Old Dominion with small animals only. For the last 15 years, Dr. McDaniel worked with dogs and cats primarily, doing both medicine and surgery. Catherine has been married for 32 years to Ricky, her college sweetheart. They have 2 children. Their son, Cassidy, is 24 years old, has graduated from Radford University and works as a financial analyst for CEB in Roslyn, VA. Their daughter, Caitlin, is 21 years old and is a 4th year student at UVA, majoring in kinesiology, and hoping to go to medical school. The McDaniels have one pet: a dog from Last Day Rescue named Ash. When she was younger, Dr. McDaniel rode horses in 3-day events, dressage, and fox hunting. Now she enjoys going to steeplechase races. She has worked with all her dogs in obedience training and showing. Several of her dogs have obedience titles. Dr. McDaniel also bred Labrador Retrievers for many years. She has been involved with her church, serving as a Sunday school teacher, hostess and youth leader. She and her husband were involved for many years with their children’s sports activities as coaches, team mom and fund raisers. When she’s not busy at the clinic, Dr. McDaniel enjoys gardening, hiking, traveling and wine tasting. Dr. Buck Drummond is a graduate of Alexandria’s Fort Hunt High School and attended the University of Georgia for both his undergraduate and veterinary education. After completing an internship in small animal medicine and surgery, he spent the next 20 years in the Los Angeles area specializing in emergency care, ultimately becoming the director of emergency services for a large 24-hour practice. In 2008, he moved to historic Savannah, Georgia, to pursue artistic interests, and then in 2010, returned to the Washington metropolitan area to be closer to his family. In 2016, he rejoined the Old Dominion team -a homecoming of sorts, Old Dominion had been one of his first veterinary jobs while in school back in the 1980’s! Dr. Drummond has a particular interest in working canines, balancing their health needs with their all-important duties, and is proud to be able to continue their care into retirement through Paws Of Honor. He is still an active artist and examples of his painting can be seen in the lobby of Old Dominion. 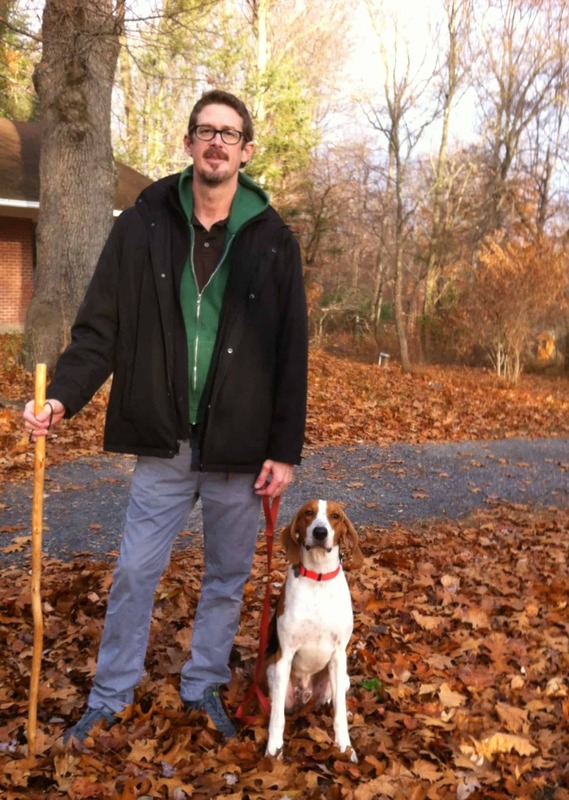 He lives with his husband, Michael, and their American foxhound, Tobias, in the district. The love of an animal is something you can’t easily define or even describe. They impart companionship, love, and an enduring, positive impact on our lives. It is this bond that drew Dr. Burnett to veterinary medicine. Her aim is to not only provide care to the animals she sees, but in doing so, positively impact the well-being of their owners. Born and raised in Salt Lake City, Utah, Dr. Burnett was fortunate enough to be surrounded by nature. Living only 20 minutes away from the surrounding Wasatch Mountains, she developed an early love for hiking, skiing, and climbing — something shared by her parents and two sisters, as well as their pack of 4 family dogs. She completed her bachelor’s degree at the University of Utah while completing a student internship with the National Oceanic and Atmospheric Administration at the Colorado River Basin Forecasting Center. Her interest in medicine initially led her to work at the Huntsman Cancer Hospital as a coordinator for patients diagnosed with cancer. This experience showed her the tenacity of the human spirit and the value of compassion, connection, and living each day to the fullest extent. She carried these life lessons with her as she transitioned into veterinary medicine as a technician in small animal medicine. It was there that she discovered she could fully integrate her love of medicine, animals, and teaching. It also encouraged her to train her Boxer, Juniper, as a certified therapy dog who frequently accompanies her to hospitals and long term care facilities. 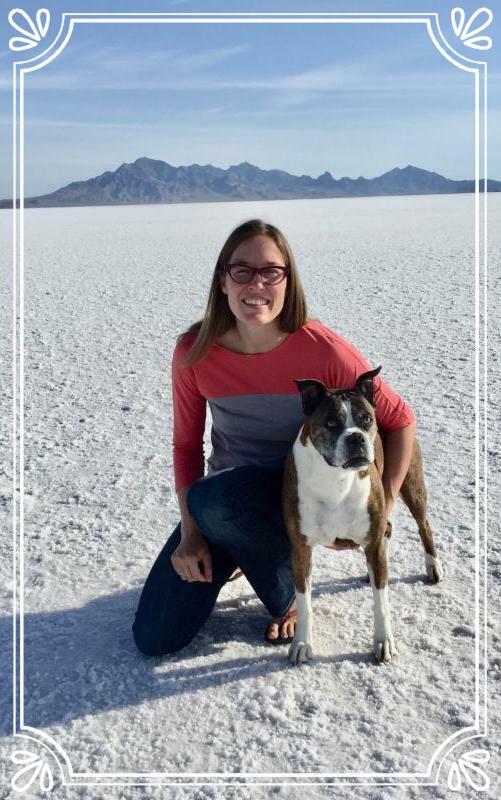 She graduated from the Utah State/Washington State University Regional Program in Veterinary Medicine in 2017. She is passionate about companion animal medicine and has a special interest in animal behavior, dermatology, pain management, dental care, and senior care. She is ecstatic to be a part of the Old Dominion Animal Health Center team. Dr. Burnett lives in Alexandria, Virginia with her husband, Jon, 12-year-old Boxer, Juniper, and orange tabby cat, Benny. When not at work or enjoying the outdoors, she competes in Muay Thai kickboxing and enjoys restoring 1950-1970’s Vespa scooters.